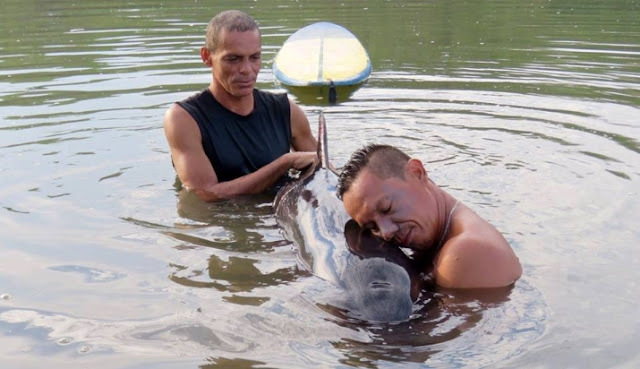 A group of local surfers in Boca Barranca, Puntarenas, on Costa Rica’s central Pacific coast, rescued a baby pilot whale that had become stuck in the mouth of a river early Wednesday morning. 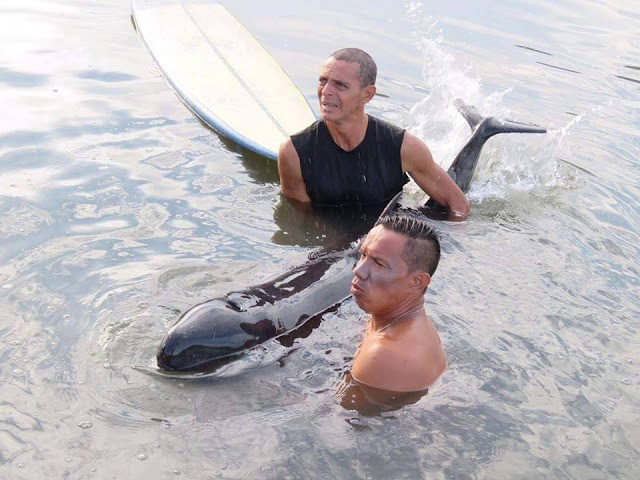 Mauricio Camareno, one of the surfers who discovered the baby whale shortly after 5 a.m., said that they first noticed what appeared to be a “black lump” near the bank of a river before they heard the animal crying in distress as they approached closer. 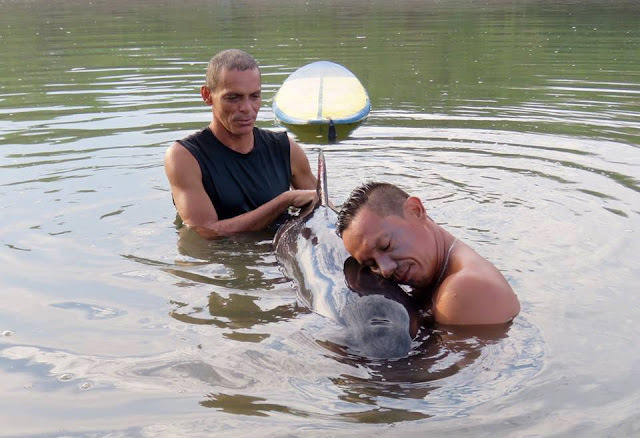 “She was very weak and could not keep afloat,” Camareno told Amelia Rueda, who said that the whale had made its way about 50 meters up river from the sea. Camareno and his surfing companions labored to carry the heavy animal back to the mouth of the river, where they stayed with the animal for more than six hours as it regained its strength. Camareno said that during that time, several locals called the authorities from Costa Rica’s Ministry of Environment and Energy (MINAE) and the Coast Guard, but neither agency responded to the scene. 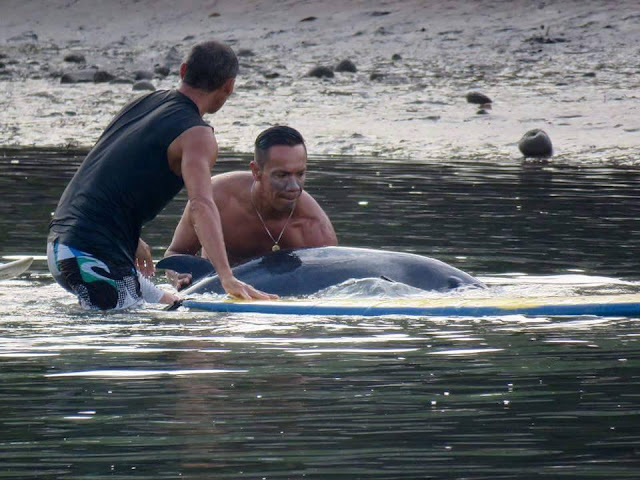 “They told us that they had to follow a protocol to check if the whale had any disease. 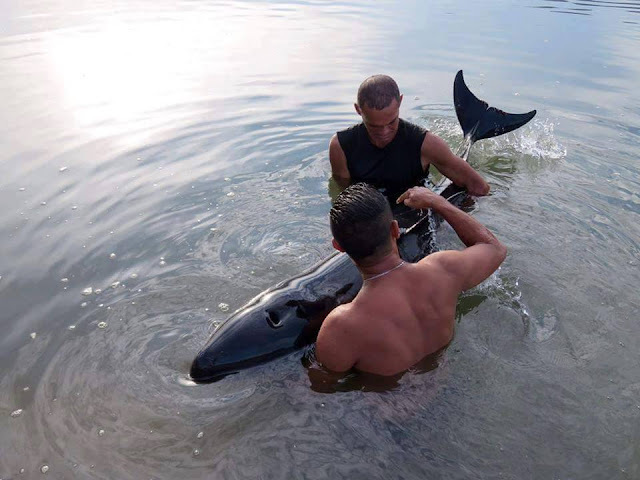 MINAE said they would send a [veterinarian] but during the whole time we were there no one ever arrived,” Camareno said. Failing to receive a response, the group of surfers waited for the tide to rise in order to guide the animal back to sea. Camareno said it took several tries, but the baby whale eventually dived and disappeared into the sea, presumably in search of its herd and mother. 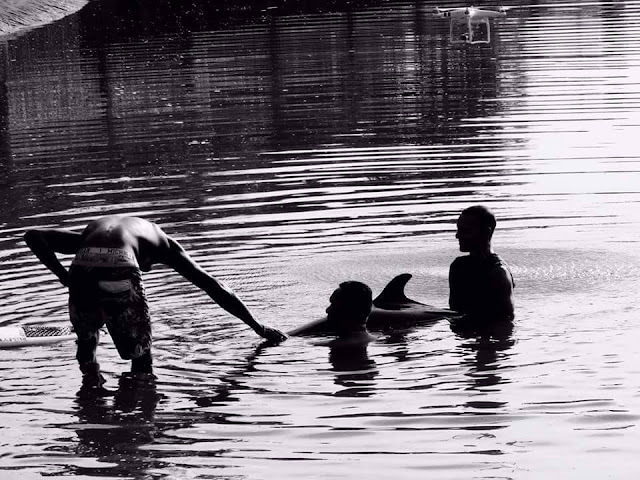 When fully grown, the species typically measure between 21 and 24 feet in length, with females weighing up to 1,300 kg and males up to 2,300 kg. Responses to "Costa Rica Local Indigenous Surfers Rescue Crying Baby Pilot Whale "